I’m a self-confessed history nerd with a passion for all things ancient with a slight bent towards mediaeval. With these interests as a focus I am a little embarrassed to admit that I don’t have much time for Australian History. In fact, despite taking a course (and somehow passing it) with the renowned lecturer Bill Gammage in 1993, I confess that my knowledge of this topic is quite abysmal really. I mean, Australia was discovered in 1788 by Captain Cook right? Apparently not it seems. As Graham Seal purports in an argument supported with a convincing array of evidence, maritime adventurers, the Dutch mostly, managed to reach our distant shore well before Cook and his buddies. In fact, Seal goes back as far as 5th century Greece, when philosophers had speculated about the presence of this Great Southern Land. However, I digress, since the bulk of this book focuses on Dutch exploration pre 1788. Of particular note was his account of the 1629 shipwreck of the Batavia, along with the mutiny and gruesome atrocities that followed. Similarly, I was also fascinated by the story of merchant ship the Zuytdorp, who in 1712, came to grief upon a treacherous reef on the Western Australian coast and was never seen again. Or so we thought? You see the most interesting thing about this book is the questions that Seal raises regarding the survivors of some of these shipwrecks. As he goes on to explain, there is significant evidence to support the theory that some of these survivors made contact with indigenous Australians and possibly integrated themselves into these communities or formed their own. It is a theory, substantiated with growing historical and genetic evidence, which is beginning to appear more likely. 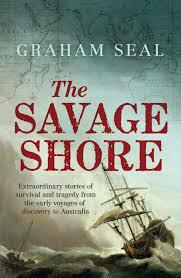 Seal’s book, intriguing as it is, will hold greatest appeal with Australian History enthusiasts with a particular bent on all things maritime. It is quite a dense read which I suspect, without teacher guidance, will preclude engagement with most secondary students (except those that are particularly gifted and have an interest in this area of history). While I wouldn’t race out to fulfil a bulk order of this title, it is certainly valuable as a library resource for History teachers and senior students of Australian History.